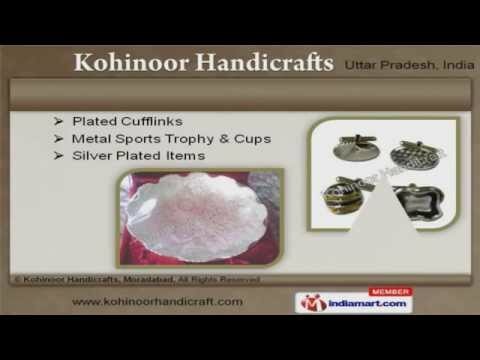 Welcome to Kohinoor HandicraftsManufacturer & Exporter of Kitchen Accessories and Handcrafted Items The Company was incorporated in 2002, at Moradabad. comprehensive infrastructure& Well-developed quality testing unit help us to Cater Australia, Europe & America. Suitable packaging, highest standards of quality & prompt delivery schedules make usthe first choice of our clients. We offer a vast range of Kitchen Accessories, Candle Holders, Food Warmers &Chafing Dishes. Our Plated Cufflinks & Silver Plated Items are widely appreciated in the market. Decorative, Brass & Metal Urns offered by us are a class apart. We also provide Metal Eggs, Ash & Funeral Urns that are best in the industry. Our Flower Vases, EPNS Wares & Decorative Lanterns are in huge demand across theglobal markets. Along with that we offer Lever Handles, Charger Plate & Trays that are cost effective.